Dear Reader. I have a confession. I did not visit every single one of the many hundreds of stands at IBC this year. In fact, I didnt even visit all 11 halls within the RAI. And I didnt talk to all 52,974 attendees. I was there. I have the stroopwafels to prove it. Its just that IBC is a massive show. And I am only one man. So, while this IBC round up is hopefully interesting and enlightening, it is far from comprehensive. Right then, with that out of the way, here are the 10 innovations that either caught my eye - or I heard good things about - during my time in Amsterdam (13-17 September 2013). The anticipated 4K camera from ARRI never materialized (well not in public anyway) but the current daddy of digital camera manufacturers did unveil something interesting. 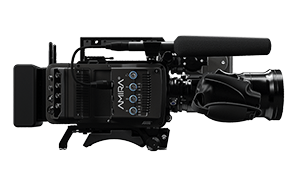 AMIRA is a documentary-style camera that combines the usual ARRI high image quality with an affordable (their words, not mine) CFast 2.0 workflow. The ergonomic design is optimized for single-operator use and extended shoulder-mounted operation. As the marketing bumpf will tell you, it is also ready to pick up and shoot straight out of the camera bag and features in-camera grading with preloaded looks based on 3D LUTs, as well as 200 fps slow motion. To all intents and purposes this is a broadcast console for smaller OB trucks. Control is via a 17-inch multi-touch screen and a straightforward interface that accepts established finger gestures. Using Bluefin2 technology gives Callisto a pool of 180 channel processing paths, eight groups, four mains, 16 auxes, and 32 tracks. A Hydra2 router core provides Callisto with the same integral 8192 x 8192 as the larger Apollo and Artemis consoles. Built using technology that was originally developed for flying devices, Freeflys MVI M10 is a handheld 3-axis digital stabilized camera gimbal that uses what they call active stabilization (unlike, say, Steadicam that uses passive stabilization). Capable of carrying up to 10lbs of camera (eg a Red Epic) its key feature is the Majestic Mode. 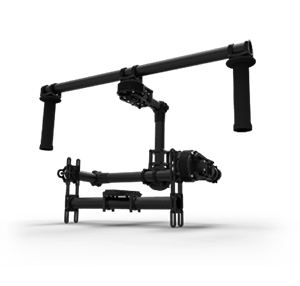 This sees the gimbal take the operator's motion and convert it into stabilized pan and tilt movements, allowing for very low profile single operator setup and accurate framing in tight situations. Looking for a cost-effective and painless way to incorporate UltraHD into a sport production environment? Check out this innovation from Joseph Fiber Solutions (JFS). 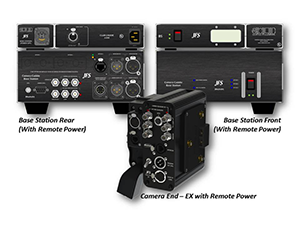 A multifarious acquisition tool it is based around the Sony PMW-F55 4K camera with a Fujinon PL Series zoom lens plus JFS' own Studio Caddie-4K, a Dell computer and both AJA's Corvid Ultra high-frame-rate chassis and its Ki Pro Quad file-based recorder. The combination provides for 4K capture, replay, archiving, and live playout at what JFS insists will be half the cost of other systems. Heres an idea that every competitor will want to poach. 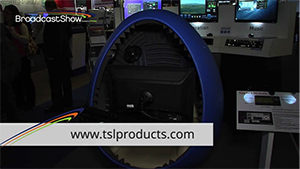 The Egg from TSL Products is a single-person QC unit for monitoring 5.1 surround sound and HD video. Providing an acoustically isolated environment for the operator, the ovoid sit-in device has a touch screen display that allows for video playback, router control, audio control, comms integration and video server control. Using the same core as an ICON or a System 5 product, the Avid S6 console can control multiple Pro Tools and other EUCON-enabled DAWs (including Logic Pro and Nuendo) over an Ethernet connection. But most importantly, it is modular, ie, you can customize to your own requirements as you go along. Pre-configured S6 M10 or S6 M40 surfaces are available with the required faders, knobs, etc. already provided or, with S6 M40, further personalized with different channel control combinations. The Science and Technology Council of the Academy of Motion Picture Arts and Sciences (AMPAS) is developing an iPad app. That is right. You read that correctly. Named the Academy Colour Predictor, and soon entering beta, it is being introduced to help filmmakers understand how key cinematography elements - lights, camera, filters, and subject matter interact with one another. Users can change any of the selected parameters to instantly visualise rendering differences and compare different combinations. The Phantom Flex4K digital cinema camera can deliver 1000 frames per second high-speed video at - yes you guessed it - 4K resolution (4096x2160) and twice that in HD. The super 35mm sensor shooter outputs RAW images and includes hot-swappable Phantom CineMag IV storage plus 3G HD-SDI video outputs. There were loads of excellent monitors on show at IBC but this one came highly recommended by a man who knows his stuff, so please go with it. The CM500TD is a 50-inch multi-format reference monitor for critical colour evaluation with 3G/dual-link/HD/SD-SDI, component, composite and DVI-I inputs. Featuring full 12-bit video processing and a 10-bit panel capable of reproducing over 1.073 billion colors on screen, it is also equipped with a passive circular polarizer and in-monitor multiplexing allowing for easy and affordable 3D monitoring (in addition to its 2D modes). Importantly, it offers support for virtually any signal format. Colour grading and finishing for the budget-conscious is nothing new. But you dont necessarily expect if from Quantel, once the Rolls Royce of the FX and grading world. To hit the perceived market sweet spot, Pablo Rio 2KO sits on a cheaper PC platform than its older brother, the Pablo Rio, but has the same toolset and workflow. It is aimed squarely at broadcasters and post houses that work as far up as 2K and HD 3D but wont need to go near 4K. As with all Pablo Rio models, Pablo Rio 2KO is available as a fully blown system including storage, video I/O and the full Pablo Rio toolset, or as software only.